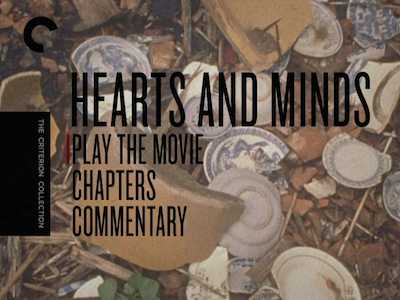 Released in 1974, with the Vietnam War still quite visible in America’s collective rearview mirror, Peter Davis’ influential and provocative documentary Hearts and Minds takes an incisive, comprehensive look at the extended conflict with a kind of broad-minded clarity that is astonishing. 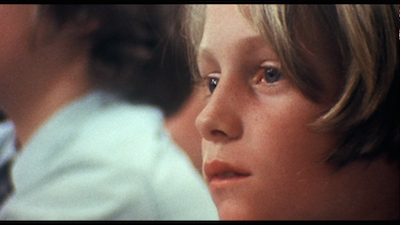 Davis crafts his nearly two-hour film using new interviews, archival footage, and scenes of record. The final product covers the gamut of what happened, engaging with difficult ideas, and hearing all sides, beginning with the historical precedent for foreign meddling in the region and ending with Nixon, the last of five American presidents to stick his nose into the country, giving a self-congratulatory address to a room full of veterans and supporters. There is a narrative to Hearts and Minds, mostly built on the actual timeline for the war, but Davis treats time as elastic, creating juxtapositions between words and deeds, between of-the-moment action and the hindsight distance provides. The thematic foundation of Hearts and Minds is the United States’ belief in itself as a world power following our successful involvement in World War II. This is when we began to view ourselves as a global police force--a distinction that is chilling to examine today. Given current events and the return of American soldiers to Iraq after we had finally extracted ourselves from a mess we created, it’s frightening to see how little our thinking has evolved in the intervening decades. Our nation became co-conspirators in a pattern of interference in Southeast Asia that apparently taught us very little. But then, that’s what they say about history, isn’t it? Despite effective tools like Hearts and Minds, our failure to learn dooms us to repeat. To compile his report, Davis casts a wide net. He talks to soldiers, politicians, and civilians, including Americans casting their gaze across the sea and Vietnamese farmers who took the brunt of our attacks full on. We hear from true believers, dissenters, and those who have lost faith. Religious figures from over there and over here both bear witness. There are generals and front-line combatants. Some interviewees have faces that are familiar--General William Westmoreland, Daniel Ellsberg--while most are not so famous. 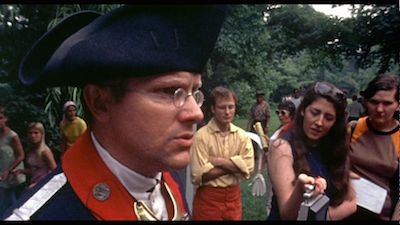 An additional unsettling feeling of déjà vu emerges as the participants talk about the nature of the fighting and the United States’ role as invaders and, to some, counterrevolutionaries. Listening to one bomber pilot talk about how technology had already created a sense of disassociation between shooter and target--the computer does it all, he just hits a button--shows us how the path toward drones and satellite tracking really began. It appears we’ve been on one course this entire time, one driven by the engines of the Military-Industrial Complex. Which is what makes Hearts and Minds still so compelling after forty years, and what makes Peter Davis look so prescient. 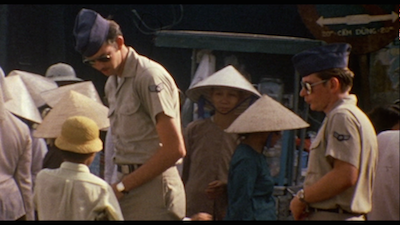 His film isn’t just a history of the Vietnam War, but a portrait of the American pathology. Seemingly incongruous scenes showing our obsession with football, including a coach rattling the helmets of his teenage players and a preacher pondering the ethics of praying for one team to win from the pulpit, make sense in the larger context. Our actions overseas are driven by the same desire to win, to be the biggest and baddest on the field, regardless of the end result. There is no other goal than scoring for our side, and somehow so many of us still don’t seem to realize that’s no way to win. 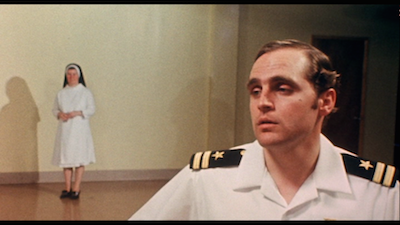 Hearts and Minds was a landmark release in 1974, and it’s easy to see why. The breadth of Peter Davis’ documentary and the skill with which he pulls together so many disparate sources to create one history is astonishing. 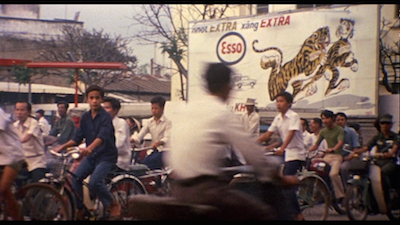 It remains a standard documentarians should still be compared to today. 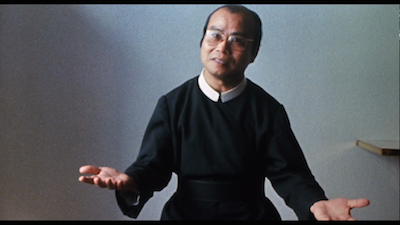 On its own, Hearts and Minds stands as a crucial account of the troubled conflict that created unrest both overseas and here at home. It’s more than a time capsule, however, proving eerily apropos of similar troubles in the Middle East today. Four decades later, we’ve evolved hardly at all, and the fact that the evidence was all there for us to learn from all this time is depressing. Hearts and Minds is a vital account for hawks and doves alike who want to better understand the sort of mindset that leads to war.